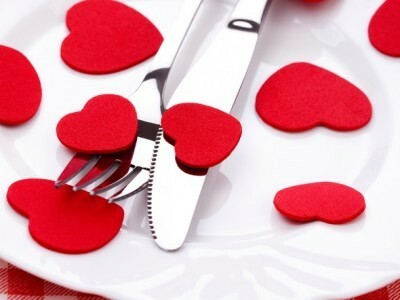 Asda Valentine's Meal for Two for £10 - get a main course, two delicious sides and a dessert. You can pick from scrummy lank shanks or salmon en croute and tuck into some cheesecake. Wow! You get so much for your money with this one. It's really generous and you'll no doubt be full to the brim with all these treats. £15 Sainsbury's Valentine's Meal for Two with Movie Rental - If you shop online at Sainsbury;s then this one is for you! You can add a lovely main to your cart - including rump steak - two sides, one dessert and a bottle of wine. You'll also get a free movie rental download. £20 for Tesco Valentine's Finest Meal Deal - Choose from a list of thirteen Finest mains, 7 sides, 5 desserts and either a bottle of wine or chocolates. This option gives you the most choice from all so there's bound to be something you both like. £20 M&S Valentine's Dine in for Two Menu - Get a starter, main course, side dish and a bottle of wine for just £20. There is only a choice of three for each food dish but if you go for the most expensive options you could save yourself as much as £16. For an extra £1.50 you can add some Valentine's chocolate hearts to the menu. £15 Morrisons Valentine's Dine in for Two Menu - Pick up a main course, two side dishes, a dessert and bottle of wine or chocolates for £15. That's a fiver less than M&S and you get more choice. Whatever you pick you're guaranteed to have a lovely little feast for two. M&S: Dine in for two for £10 - It's back! You can dine in for two for just £10 with M&S - don't miss out!